For centuries, yogis have been expressing the incredible benefits meditation can provide. More recently, meditation has become a more mainstream means of treating anxiety and stress, as deep breathing has been proven to calm the nervous system and reduce our heart rate. Avid meditators or individuals who practice breathing techniques typically report that such practices have the ability to silence or slow down the mind. This begs the question: How exactly does meditation and controlled breathing affect our brain?We’ve all heard the saying “take a deep breath,” and there’s actually some merit to that. A new study published in the Journal of Neuroscience found that there’s a direct link between nasal breathing and our cognitive function. While practicing yoga, you typically breathe through your nose, but why is that? I find breathing through the nose to be less strenuous and more peaceful, especially while practicing yoga. Well, Northwestern Medicine scientists may have just found an explanation for that. The scientists began by testing the electrical brain signals of seven epilepsy patients with electrodes in their brains. Their findings showed that the rhythms of the participants’ natural breathing matched the slow electrical rhythms in their brain regions associated with their sense of smell. The scientists also noted that during nasal inhalation, the fast electrical rhythms in the amygdala, responsible for our ability to process emotions, and the hippocampus, associated with memories and emotions, became stronger. To gain a better understanding of their research, the scientists then examined an additional 60 healthy participants to discover the effects nasal breathing has on memory and emotional behaviour. The participants were shown both scared and surprised faces, and then they had to immediately determine the emotional expression of the face they just saw. As it turned out, the participants were able to identify the scared faces much faster when they were inhaling through the nose than when they were shown the images when exhaling or when breathing through the mouth. The scientists also tested the participants by showing them images and then asking them to recall them later. The participants were much better at recalling the original images if they were shown them on an inhale breath through the nose. The study’s findings suggest that the act of nasal breathing plays an integral role in coordinationg electrical brain signals in the olfactory “smell” cortex, the brain regions that receive input from our nose. It’s clear that the act of breathing through the nose, even when we don’t smell anything, can still affect our emotions and memory. This is fascinating because we often associate smell with memory and emotion. However, this information proves that it’s not just the sense of smell that can remind us of a particular day or moment in our lives, but also the simple act of breathing though the nose itself. Nasal breathing can therefore be considered “the remote control of the brain,” because breathing through the nose directly affects the electrical signals in the smell regions of the brain. By controlling our breath, we can actually improve brain function in order to develop more accurate and quicker emotional recognition abilities and improve our memory simultaneously. Keep in mind that just because the inhalation is what’s associated with cognitive function, that doesn’t mean that the exhalation isn’t equally as important! Studies have shown that controlled breathing, which often means slow inhales and exhales, and meditation can have incredibly beneficial effects on human health. This isn’t the first study to prove the effects controlled breathing can have on the brain. A study conducted by Harvard researchers at Massachusetts General Hospital (MGH) determined that meditation literally rebuilds the brain’s grey matter, which is associated with memory, sense of self, empathy, and stress. Participants practiced, on average, 27 minutes of mindfulness exercises daily and experienced significant improvements after only two months. This is one of the first studies to prove that meditation can actually change the brain. The Relaxation Response is basically the opposite of the “fight or flight” response and can be described as a deep relaxation that engages the parasympathetic nervous system, otherwise known as meditation. You can also induce the Relaxation Response through controlled breathing, yoga, and other mindfulness practices. According to Herbert Benson, M.D., of Harvard Medical School, the Relaxation Response can counteract the physiological changes of stress and the fight or flight response, including muscle tension, headache, upset stomach, racing heartbeat, and shallow breathing. A Harvard study found that meditation and the Relaxation Response can mitigate symptoms of Irritable Bowl Syndrome (IBS) and improve gut health. The study showed that by inducing the Relaxation Response, participants showed reduced symptoms of IBS as well as decreased anxiety and overall better quality of life. Another study performed at the Chopra Center for Wellbeing compared a group of meditators to a group of non-meditators and found that meditating can have long-term benefits, including improved mental health and cellular health. 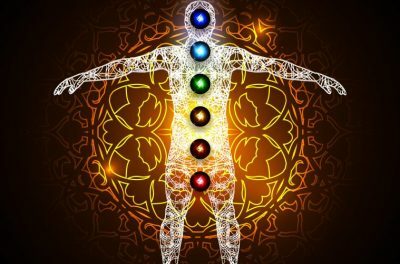 Another study showed that meditation and controlled breathing can protect and lengthen telomeres, which are located on the ends of chromosomes. If your chromosomes are healthy, your cells are healthy as well, further proving that meditation can aid cellular health. In addition to physiological changes, meditation can also provoke emotional and psychological changes as well. This study proved that experienced meditators produce increased levels of melatonin. The meditators were studied after participating in either Transcendental Meditation-Sidhi or yoga, both of which were found to help increase melatonin. Lastly, according to Ellen L. Idler, Ph.D., a professor at Emory College, those who practice spiritual modalities including meditation are more likely to make positive and healthy choices. Idler goes on to explain that through meditation, we can decrease chronic stress and the potential for disease.